Your Iowa Great Lakes Association celebrates our 10 year anniversary in 2018. 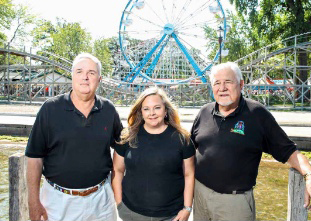 Below is an article from the Fall edition of Okoboji Magazine in which you will learn the history of and vision for our nonprofit association. Email okoboji@iowainformation.com if you would like to subscribe to this publication celebrating this extraordinary place we call home. Included below you will also learn of an analysis IGLA has engaged in with the University of Iowa to study our county’s watershed and flooding. Being proactive vs. reactive to avoid another Spring ’18 where lake levels negatively impacted shoreline, business and recreation is our goal. Your investment in IGLA allows us to protect, preserve and enhance our area and keep the Iowa Great Lakes just that…GREAT!